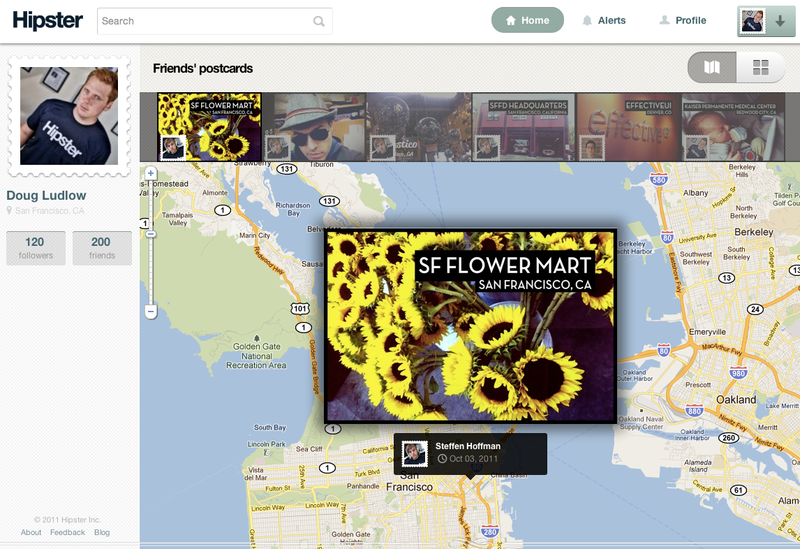 Do we really need another location-based photo-sharing app? Hipster, a service I’ve written about countless times, is unveiling its first open-to-all product today — and it is not, like we’ve written about and many anticipated, a local Q&A service. Hipster has joined the mobile social local photo sharing locomotive and made an app that yes, lets people share photos, with their phones. Ludlow says that the company’s eventual goal is to capture “the most important information, the most fascinating people, and the most interesting moments that take place in the locations around us,” and eventually hopes that people will pull out Hipster to get a good sense of the stories surrounding a given location. The postcards are just a “wedge feature” he emphasizes, a way to get people to actually use the service. To send a Hipster digital postcard, sign in with Facebook and/or email, snap anew or use an already taken photo and choose from one of ten postcard “themes,” which are basically different photo filters, font choices and styles. The app lets you edit your location, add what you’re doing and who you’re with to the card as well as share to Facebook and Twitter. Other Hipster users can like and comment on the as of now landscape oriented photos. Ludlow plans on adding the ability to take portrait shots and see Likes through the mobile app in a later release. 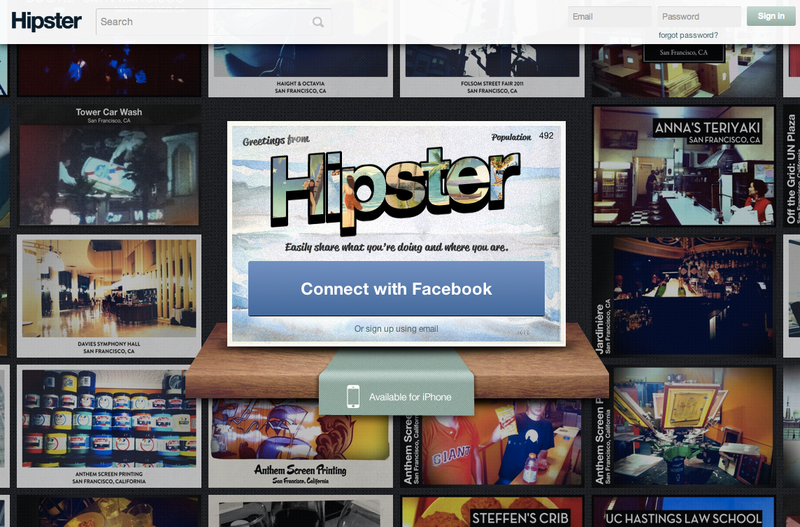 To view photos on Hipster, simply sign in and select Friends to see postcards from people you’re following, or Nearby to see additions from people nearby. Swipe a given image and it will turn around, just like a post card, revealing its location and other data. You can also see the postcards mapped out on Google Maps. With $1 million in seed funding from Mitch Kapor, Dave McClure/500 Startups, Lightbank, Google Ventures and others, Hipster plans on trying out various ways to monetize including selling the printed versions of its digital postcards, advertising and yes, local deals.